Rob discusses the Google Stadia reveal and how that relates to Microsoft XCloud. He also talks about games going into Game Pass, new back compat games and more! Enjoy! Rob discusses the XCloud demo, some new games and games exiting Game Pass. A discless Xbox One is on the way so this means some users will be digital only. Rob discusses the new system, Realm Royale and more! Episode 518 – Another Studio? Rob discusses rumors of Xbox buying yet another studio. Also, what the Xbox Game Studios companies are up to. Enjoy! Mark and Rob discuss Anthem, E3 rumors, mobile games and more! Mark and Rob discuss the recent games released including Crackdown 3, Far Cry New Dawn, Anthem and more! Rob discusses Apex Legends, Crackdown 3, Xbox Game Studios, Division 2, Watchdogs 3, Warhammer Chaosbane and more! 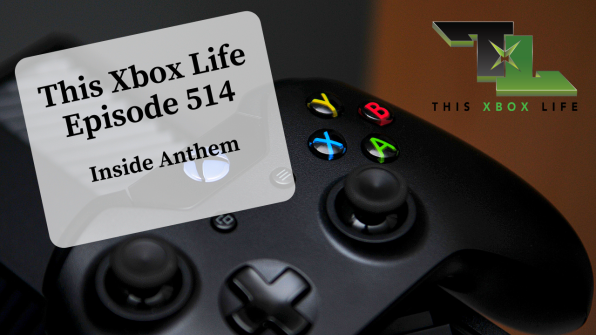 Rob discusses the open Anthem Beta, Crackdown 3, Apex Legends, Inside Xbox, Smart Glass updates and more!